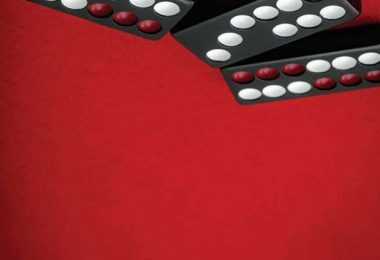 This article first appeared in the June 2017 issue of WGM. 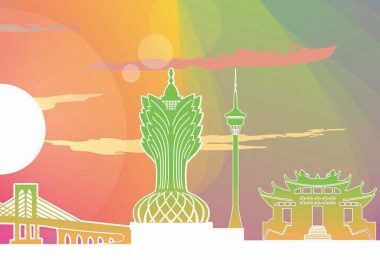 Leading slot machine manufacturer Aristocrat has just launched its latest series, Lightning Link, onto the Macau market featuring a brand new range of Chinese-themed titles. 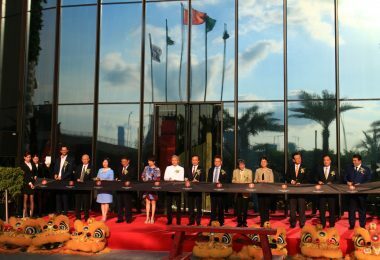 The latest slot machine series to hit Macau’s casino floors is Aristocrat’s exciting new Lightning Link. 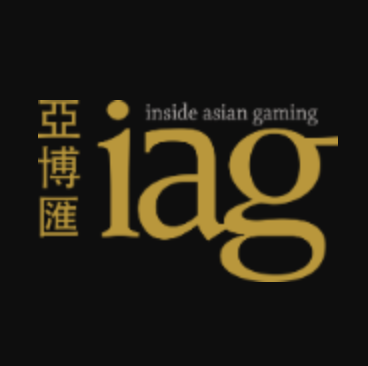 Continuing the company’s history of producing dynamic Asian-themed titles boasting linked jackpots, Lightning Link – which can currently be found at both Wynn Macau and MGM on the Peninsula (with more to follow) – boasts three unique Chinese games developed specifically for the Chinese player. 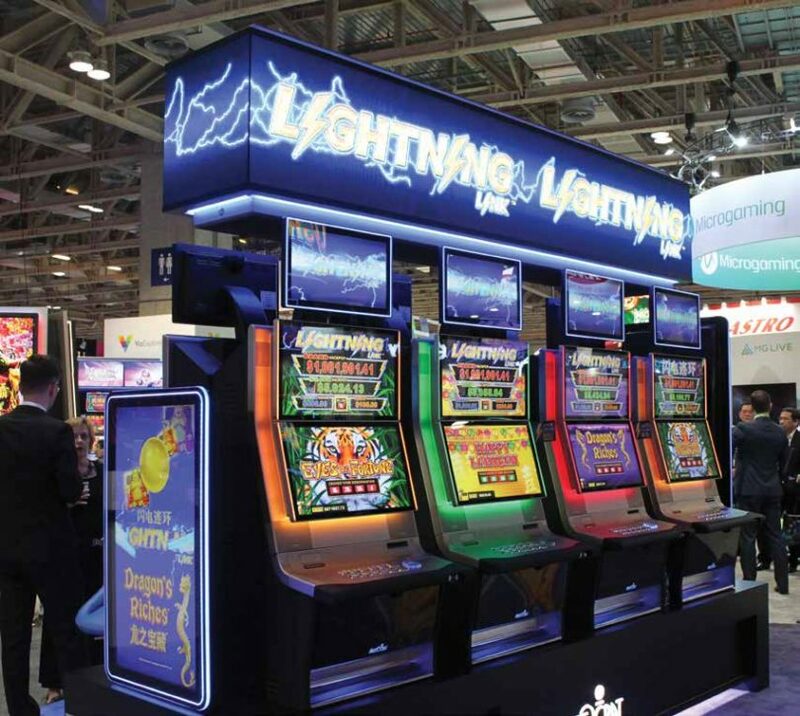 “I believe in localized content and I think the region demands that, so we’ve had some work to do to bring Lightning Link to Macau because in Australia and in the US, we’ve got 10 titles on Lightning Link and only one of those, ‘Happy Lantern’, was a Chinese themed game,” explains Scott Olive, Principal of High Roller Gaming studio and creator of Lightning Link. “Before we imported the game to Macau we came up with two other titles – ‘Dragon’s Riches’ and ‘Eyes of Fortune’. We’ve used themes that players will recognize as soon as they walk up to the machine. They’ll recognize the Choy Sun Doa fortune god game which is ʻHappy Lanternʼ, they’ll recognize dragons in our ʻDragon’s Richesʼ game and Tigers have always been very popular which are in our ‘Eyes of Fortune’ title. “Our fourth game coming out, ‘Emperor’s Treasure’, brings a Chinese emperor into it so if you don’t like fortune gods then maybe you won’t like ‘Emperor’s Treasure’, but there is something there for everyone. The appeal of the games is more than just visual, however. Players can hit one of two different features, including the Hold and Spin bonus where players look to fill 15 vacant slots with 15 pearls. Each pearl that drops sees the player win a prize and if all 15 slots are filled the player wins the Grand Jackpot. 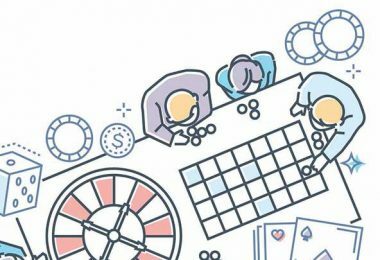 Likewise, the Free Games feature with Mega Symbols sees the middle three reels filled with one large symbol on each spin, again creating an opportunity to win big. Olive says that experiencing all of Lightning Link’s features won’t happen overnight, but it is this depth of game play that makes it so unique. Lightning Link is also Aristocrat’s first game with multi-denomination jackpots, meaning that when players select to play a higher denomination they’ll be playing for bigger jackpots as well. In other words, if you happen to find yourself in Wynn Macau or MGM sometime soon, make sure you check out the Lightning Link slots.